Allyson has a degree in Sustainable Agriculture from UMass Amherst and has worked on dozens of farms in New England and Italy. She owns and operates Full Heart Farm, which she purchased in 2012 at the age of 24. She serves as a mentor for Holistic Management International and is a member of the National Young Farmers Coalition. Allyson was named one of CT Magazine’s 40 Under 40 in 2015, as well as eWomen Network’s Emerging Leader of the Year for 2015. In BF 203, Allyson shares the details of how she plans and manages her farm’s finances using Holistic Financial Planning. Amy Ivy works with commercial vegetable and berry growers as a member of the Eastern NY Commercial Horticulture Program. She has worked with gardeners and growers for Extension for 27 years in the northeastern corner of the state, on the east side of the Adirondack Mountains. Her particular interests are season extension, protected culture including high tunnels, and insects both good and bad. Anna is the regional fruit specialist in Northeastern NY for Cornell Cooperative Extension, working as part of the Eastern NY Commercial Horticulture Program. She works with apple and grape growers in the cold climate of upstate NY—a great place to grow Honeycrisp and McIntosh apples, and cold climate grapes. She holds a Master’s Degree in Plant Science from the University of Maryland, where she studied tree fruit, among other horticultural topics. Beth Claypoole is the Executive Director and Agriculture Issues Leader for Cornell Cooperative Extension Wayne County. She has been an extension specialist for more than 20 years, with expertise in dairy management and business management. Beth has taught business planning to more than 1000 people across the United States and in Poland. She has worked with the New England Small Farm Institute as a trainer and facilitator for “Exploring the Small Farm Dream”. She has an MS in Animal Science Nutrition and an MBA, with emphasis in Marketing. Her current focus is on new farm start-ups and agriculture economic development. Betsy Hodge has worn many hats in Extension over the years (since 1984!) from Dairy and Livestock “Agent” to County Director. Her current role is Regional Livestock Educator for Northern New York and as a local Extension Educator for St. Lawrence County. Her program focuses mainly on sheep and goats but includes all livestock such as beef, poultry, and swine. Areas covered include nutrition, management, marketing, rotational grazing, handling, parasite management and more. Betsy also acts as the shepherd for the Extension Learning Farm Flock in Canton and has a small flock of her own hair sheep at home. Brett Chedzoy is a forestry and agriculture educator with Cornell Cooperative Extension of Schuyler County. Brett and his family also own and operate Angus Glen Farms, LLC in Watkins Glen, NY – a 300-acre grazing operation raising grass-fed beef. Bonnie Collins is a resource educator with Cornell Cooperative Extension of Oneida County, with responsibilities in farm business management and the environmental touring teacher program. She has also operated an accounting business for nearly 30 years. She holds an MBA in technology management, a BPS in Accounting, has completed the Cornell Bird Biology seminars, is a Master Gardner, and has won the National Extension Association of Family & Consumer Science award for Environmental Education. Elizabeth Marks is a certified educator with Holistic Management International. She serves as a biologist for the United States Department of Agriculture Natural Resources Conservation Service (USDA NRCS) in the Hudson Valley (New York) where she works with landowners to improve soil health and biological diversity on their farm or forest. In addition she is an instructor for NY’s Beginning Women Farmer Program and has taught workshops on HM principles. Elizabeth received a bachelor’s degree in biology from Mount Holyoke College. She lives in Chatham in a net-zero, energy efficient home she designed herself. Erica Frenay is the Online Course Manager and livestock specialist for the Cornell Small Farms Program, and also teaches whole farm planning and holistic decision-making to beginning farmers. She is a certified educator of Holistic Management. She and her husband also own and operate Shelterbelt Farm, a diversified ecological farm near Ithaca, NY, producing grass-fed lamb and beef, duck eggs, tree fruits, berries, raw honey, tomatoes, and baby ginger. Jason is social worker turned farmer and owner of Diamond Hills Farm, a pasture based cow/ calf operation in Hudson, New York. When he is not grazing, watering, or calving he is the Livestock Educator for the Ulster County Cooperative Extension Office. He gets up early, tries to stay up late, and likes looking at his collection of unread books. He enjoys talking farm and has an opinion and possibly advice on most anything relating to livestock. He is happiest at that time of year when you can smell the soil but not the cold. Jim O’Connell is a Resource Educator with Cornell Cooperative Extension in Ulster County, NY, with responsibilities in berries and grapes. His interest in agriculture started at the Univ. of NH, where he worked as a research assis­tant in both veg­etable and fruit crops. From there Jim’s love and knowl­edge of agri­cul­ture grew, even­tu­ally tak­ing him to Mass­a­chu­setts where he worked as a research tech­ni­cian with cran­ber­ries for nine years. Jim made the move to New York and started work­ing for Cor­nell Coop­er­a­tive Exten­sion in June 2012. Laura Biasillo is an Agricultural Economic Development Specialist with Cornell Cooperative Extension-Broome County, in Binghamton NY. Laura focuses on increasing marketing channels for producers, creating education programs to help farmers develop new skills and technologies, and facilitating farmland protection within the county. She and her husband own ~5 acres, have 3 kids, and raise chickens and a garden. Lynn Bliven is the Agriculture & Natural Resource Issue Leader for Cornell Cooperative Extension in Allegany County, NY. She began her career in 4-H and currently works in Agricultural Economic Development, specializing in beginning farmer outreach, local food systems and livestock production. Lynn and husband Shawn operate a 52 acre farm in Rushford, NY raising grass-fed beef, lamb and poultry. As Tree Fruit Specialist for the Eastern NY Commercial Horticulture Team, Michael Basedow covers the Lake Champlain and Upper Hudson Valley regions and is housed in the CCE Clinton office. Michael has a B.S. in Plant Sciences/Horticulture from Cornell and a M.S. in Horticulture from Penn State University. Michael comes to CCE from PSU Extension, where he served as a tree fruit extension educator developing and delivering fruit extension programs, including specialized programs for beginning and young farmer audiences. Michael also has extensive tree fruit field and applied research experience with apple growers, including a stint at the Hudson Valley Lab as an undergraduate at Cornell. Michelle Proscia (Lipari) has been the agriculture educator for Cornell Cooperative Extension Sullivan County since 2013. She received her bachelor’s degree in large animal science from Delaware Valley College. Michelle is also the market manager of the Rock Hill Farmers Market and has assisted in managing a small farm that raised poultry, sheep and pigs. Peter is the NYS Extension Forester and the Director of the Cornell University Arnot Teaching and Research Forest. He coordinates ForestConnect, Cornell’s Forest Resources Extension Program, by providing leadership for education to enhance the sustainability and stewardship of private forest lands in New York. His applied research addresses sugarbush management, forest production, and vegetation management of native and invasive plant species. Peter has a B.S. in Forestry from Purdue University (1986) and a M.S. (1989) and Ph.D. (1993) in forest ecology from the SUNY College of Environmental Science and Forestry in Syracuse. Phil Metzger is a farm & natural resources development consultant, retired from a 32-year career as a resource conservationist with the US Department of Agriculture. Phil instructs on various topics including: farm, personal & business financial planning, goal setting, improved decision making, business & land planning, grazing planning, biological monitoring, and reading the land. He is a certified educator in Holistic Management and has practiced HM, including holistic financial planning, for 15 years. Rebecca Schuelke Staehr operates Cayuga Pumpkin Barn, a seasonal vegetable farm in Springport, Cayuga County, NY. 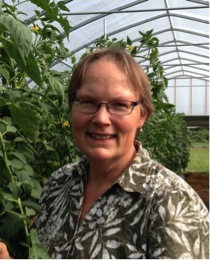 She has worked for Cornell Cooperative Extension and the NY Farm Viability Institute. She is a past chair of CADE, the Center for Agricultural Development & Entrepreneurship. Rebecca serves on the board of the Cayuga County Farm Bureau. She has taught classes in time management for beginning farmers, starting a farmstead cheese operation, and more. 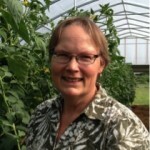 Sandy Buxton is a Cornell Cooperative Extension educator with the Capital Area Agriculture and Horticulture Program specializing in Farm Business Management. She has a strong background in dairy business analysis but works with farms of all sizes, start-up to large. Her goal is to help them understand and analyze their numbers and grow their business. Steve grew up in the Finger Lakes Region and graduated from Empire State College with a BS in Environmental Science, an educational path which incorporated aspects of forestry, ecology, and permaculture. He co-founded the Finger Lakes Permaculture Institute in 2005 and began working at Cornell in 2009 in the Department of Horticulture, focusing on permaculture and agroforestry research and education. Along with his wife Elizabeth, he operates Wellspring Forest Farm in Mecklenburg NY where they produce shiitake mushrooms, duck eggs, pastured lamb, and maple syrup. He has co-authored a book called Farming the Woods with Cornell professor Ken Mudge, published in Fall 2014. Steve Hadcock is a Cornell Cooperative Extension Educator with the Capital Area Agricultural and Horticulture Program with educational responsibility for working with new and beginning farmers. He provides education on an individual and group basis to those interested in beginning a farm and for those who have been farming for less than 10 years. Willie has been growing mushrooms in a variety of methods for the last four years. He is a co-founder of Fungi Ally, a mushroom farm in Hadley, MA that grows shiitake, oyster, and lions mane mushrooms. The farm also provides spawn and ready-to-fruit kits to commercial mushroom farms. Willie is involved with research, education, and mushroom production. Through study and experience he hopes to continue learning the diverse methods people can improve themselves and the world through allying with fungi.